The satellite is headed to an orbit 930 million miles from Earth. BERLIN — The European Space Agency launched its star-surveying satellite Gaia into space Thursday, hoping to produce the most accurate three-dimensional map of the Milky Way and to better understand the evolution of our galaxy. 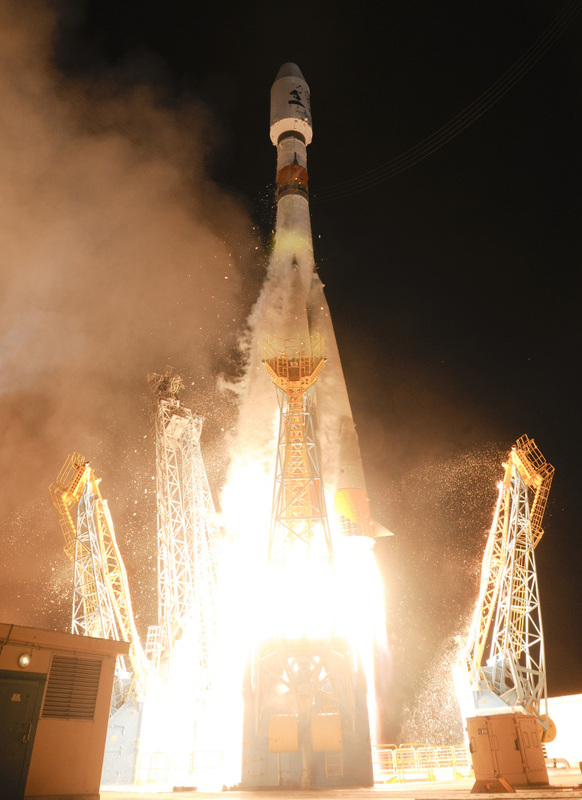 The satellite was lifted into space from French Guiana at early Thursday morning aboard a Russian-made Soyuz rocket, the agency said. Soon after the launch, Gaia unfurled its 33-feet circular sun shield — a crucial moment in the mission. The shield protects the spacecraft’s sensitive instruments from the rays of the sun while simultaneously collecting solar energy to power the spacecraft. “Everything was super smooth,” said Paolo Ferri, head of mission operations at the Paris-based European Space Agency. Gaia is now heading for a stable orbit around a point known as Lagrange 2 — some 930 million miles away on the opposite side of the Earth from the sun. Once it gets there next month, the satellite’s instruments will be switched on and it will follow what Ferri described as “a very peculiar pattern” designed to keep its back always turned to the sun. Timo Prusti, ESA’s project scientist, likened the mission’s goal to the switch from two-dimensional movies to 3D. At the moment, he said scientists are working with a largely “flat” map of the galaxy. “We want to have depth,” he said. Using its twin telescopes, Gaia will study the position, distance, movement, chemical composition and brightness of a billion stars in the galaxy, or roughly 1 percent of the Milky Way’s 100 billion stars. The data will help scientists determine the Milky Way’s origin and evolution, according to Jos de Bruijne, deputy project scientist for the Gaia program. The project is the successor to ESA’s Hipparcos satellite, which was launched in 1989 and measured the position of 100,000 stars in the Milky Way. Gaia, which is named after an ancient Greek deity, will go far beyond that. Scientists have compared its measuring accuracy to measuring the diameter of a human hair from 600 miles away. “There is still a lot that we don’t understand about the Milky Way,” said Andrew Fox, an astronomer with the Space Telescope Science Institute in Baltimore, Maryland. He is not involved in the project, but his position at the science center is funded by the European Space Agency. ESA has dubbed Gaia the “ultimate discovery machine” because its sophisticated instruments will allow scientists to look for small wobbles in stars’ movements that indicate the presence of nearby planets. “Those are the stars that people are going to go out and look for planets around, and ultimately for signs of life,” said Fox. Equipped with dozens of cameras capable of piecing together 1,000-megapixel images, scientists also expect to find hundreds of thousands of previously undiscovered asteroids and comets inside our solar system. Beyond that, scientists hope that Gaia can also be used to test a key part of Albert Einstein’s General Theory of Relativity that predicts “dips” and “warps” in space caused by the gravity of stars and planets. Carmen Jordi, an astronomer at the University of Barcelona who is involved in the mission, said the satellite’s findings will become the main reference for scientists in the years to come. “Almost all the fields of astrophysics will be affected,” said Jordi. The mission’s scientific operations will begin in about 4 1/2 months. The $1-billion mission, which was delayed by about a month due to a technical problem with another satellite, has a planned lifetime of five years. If Gaia is still operational after that, scientists say they might extend its mission for up to two years.